In Saturday Night Football action, the Los Angeles Chargers (11-3) are trying to lock up home-field advantage in the playoffs by securing a #1 seed, but will be tasked at stopping the Baltimore Ravens’ revitalized rushing attack led by rookie QB Lamar Jackson. At this point in the season, each game comes down to which teams have incentive to win. In both cases, the Ravens and Chargers have something to play for. 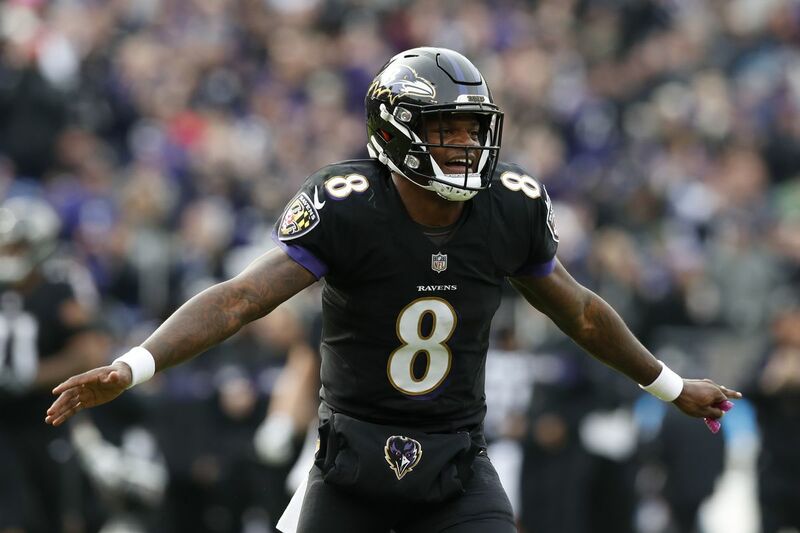 The Ravens are trying to secure the second Wild Card selection and the #6 seed, while fending off the Indianapolis Colts and Tennessee Titans. They also have a shot at snatching the AFC North title away from the Pittsburgh Steelers. The bookmakers in Las Vegas opened the Ravens as +4.5 road dogs. The total opened at 45, but was quickly bet down to 42 points. The Chargers beat the KC Chiefs on Thursday Night Football last week to move into a first-place tie in the AFC West. The Bolts are playing for the division and a chance to lock up the overall top seed in the AFC. Philip Rivers is having an MVP-like season and he’s heading to the Pro Bowl once again to represent the AFC. The Chargers are sending the most players to the Pro Bowl this season with seven total selections plus three alternates. QB Philip Rivers, RB Melvin Gordon, WR Keenan Allen, and C Mike Pouncey are returning to the Pro Bowl. DE Melvin Ingram, S Derwin James, and Adrian Phillips are all headed to the Pro Bowl for the first time. Running back Melvin Gordon is expected to be a game-time decision against the Ravens. Gordon sat out several games with a sprained MCL, but would like some reps before the playoffs. If Gordon sits out or sees limited action, rookie RB Justin Jackson has been a reliable replacement thus far. The surging Chargers won four in a row and are tied for first place in the NFC because of their defense. It’s not ranked among the elite defenses in the NFL such as the Chicago Bears or the Ravens, but the Chargers have a strong all-around defense. The Chargers are 9th in the NFL in fewest points allowed with 21.3. They also have a Top 10 rush and pass defense. The Chargers have serious kicker issues. There’s no shortage of Phil Rivers memes filled with his numerous reactions to multiple kickers missing kicks. The Ravens are the best team in the NFL in fewest points allowed at 18.1. Their stonewall rushing defense allows only 87.6 yards per game, which is third best in the NFL. Good luck trying to pass against them, because they have a third-ranked secondary that allows only 202.6 passing yards per game. When you boil down all the stats and advanced metrics, it comes down to a classic battle: great offense vs. great defense. One side must break. Which one? Can the Ravens shut down Philip Rivers? Or will Rivers and company dominate the Ravens. Lamar Jackson, the 2016 Heisman trophy winner, is 4-1 as a starter for the Ravens. His sole loss happened in overtime against the Chiefs. Since he took over for a slumping Joey Flacco, the Ravens look like a new team and Jim Harbaugh might have saved his job. In five games of action, Jackson emerged as the Ravens top rusher this season. He leads the Ravens in rushing with 566 yards and three touchdowns. Then again, Jackson took advantage of some of the worst defenses in the league, playing against the Chiefs, Bengals, Falcons, Raiders, and Buccaneers. Critics like to point out Jackson’s erratic passing game, but the rookie has not thrown an interception since his second game as a starter. Over his last three games, he has three passing touchdowns. Gus Edwards has been quietly racking up yards. The rookie running back from Rutgers caught everyone’s attention in Week 11 when he exploded for 115 yards against the Bengals. Edwards is averaging 97.2 yards per game over the last five games since Jim Harbaugh inserted him into the lineup. The Ravens quickly adjusted their offensive scheme to accommodate Edwards and Jackson. It’s difficult for teams to make a drastic turnaround in the offseason, let along in midseason, yet the Ravens figured out a way to tweak the playbook and take advantage of their newfound weapons. The Ravens scored 17 rushing touchdowns, which is fourth best in the league. They boast the second-best rushing offense in the NFL with 1,986 yards. Their ground attack averages 141.9 yards per game and 4.3 yards per carry. However, ever since Jackson took over five games ago, the Ravens are averaging 230 rushing yards per game. The South Point Casino and Sports Book in Las Vegas currently lists the LA Chargers at 5-1 odds to win the Super Bowl. The Ravens are 20-1 odds to win Super Bowl LIII.